He was a lethal vampire bound by an ancient curse. She was an agent of homeland security, investigating a dangerous cult. Descended from the progeny of Celestial Gods and humans, Nathaniel Silivasi is handsome, seductive, and powerful beyond measure: a lethal vampire. Belonging to an ancient civilization that sacrificed its females to the verge of extinction, he is also cursed. Like all the sons of Jadon, he is incapable of producing female offspring and is required to sacrifice a first born son as atonement for the sins of his forefathers. While he belongs to a modern civilization, he is bound by primeval law. When Jocelyn Levi stumbles upon Nathaniel's pristine mountain valley, she is not prepared for the collision of worlds she is about to encounter. As an agent of the homeland security department, ICE, the beautiful, defiant female has an agenda of her own: to stop the ritualistic slaughter of innocent young women by a human trafficking ring. Little does she know that the evil she seeks is unlike anything she has ever witnessed. She has entered a world of warriors, code, and mystery, where the predators are divided only by degrees of light and shadow, and the dark, handsome stranger who has come to her aid is the most dangerous of all. A dangerous game of life, blood, and survival… Marquis Silivasi is a loner, an ancient vampire known to be merciless, harsh, and unforgiving. He has lived to see his dark twin sacrificed, his parents hunted, and the one soul he was sworn to protect destroyed by his enemy. When a mysterious female with a secret past shows up in Dark Moon Vale, her presence sets off a strange set of events: It is as if she has awakened the sleeping soul of the valley…and the Curse of Marquis’s birth.Bound to each other by primeval law, the two must forge their way through an ever growing maze of danger, deception, and destiny. They must find salvation in a world without mercy, where survival demands a chilling BLOOD AWAKENING. Caught in a tangled web of vengeance and deception, Napolean and Brooke are forced to confront their inner demons. Together, they must fight to survive a savage BLOOD POSSESSION. Nachari Silivasi is a bright light in a Dark World. As the youngest vampire in a family of warriors, he has studied Magick for four-hundred years and acquired a rare mastery of the universe around him. He is beloved by his family; legendary for his good-looks; and known for his uncommon valor. Unfortunately, he has just made the ultimate sacrifice – he has traded his immortal life for the life of the Vampyr King. Deanna Dubois is as talented as she is independent, but she has developed a strange and terrifying habit: Night after night, day after day, she sketches one horrifying scene after another -- the body of a gorgeous male being tortured in hell by demons. 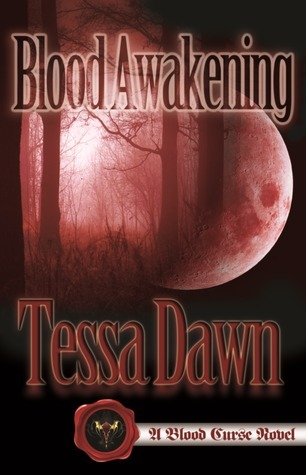 Disturbed by her ever growing obsession, she sets out to Dark Moon Vale to uncover the truth. Only, what she finds is a web of danger, destruction, and deceit. Separated by space and time, yet drawn together by fate, Nachari and Deanna find themselves in an epic battle against evil: Nachari is forced to forge a path in a world of shadows, where torture and lust rule the night; while Deanna struggles to decide between two polar opposites – to flee from the truth or trade her mortal soul for the possibility of a stranger’s salvation. The enemy could not be more lethal. First off, what a great blog! 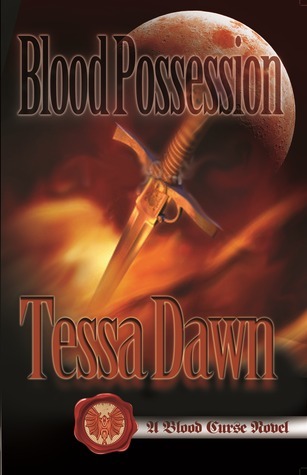 Second, if you haven't read the Blood Curse series by Tessa Dawn you need to! These books are dark fantasy, the Vampires are not sparkly nor are they sweet and fluffy..they are alpha males to their core, dangerous and can be very brutal. Now, don't get me wrong, there are love stories here, just not the kind that are all tickle and giggle...there is a purpose to these pairings and to find out what that is you need to read the books. I promise, once you start you won't put them down. These are great stories! I highly recommend the series. Thanks so much cchamp I am so glad that you enjoyed your visit here! Thank you so much Shanna I am so glad you stopped by and I hope you come back often! Thank you Julie for stopping by, I really appreciate it. I guess I know what my next read will be! The must be an awesome series. I've got about 4 books that I need to read and then this one will definitely be next. I wish that I could get them all read and by the release of book 5, but I don't think that I will make that deadline. Please drop in and feel free to recommend any other titles you think I would enjoy. I love hearing from other book junkies! I love this series. The first book had just come out and I couldnt find it anywhere I was about to go crazy looking for it needless to say I finally found it and have been hooked every since. Tessa is an awesome writer and like Julie said she has a lot of details in her book. Im so ready for Blood Redemption to come out. So if you haven't read this series please go and pick it up you want be sorry. Thanks Jerri! I now feel like I have really been missing out and it is going to be so hard to wait to read book one. I may have to sneak it in between some things that I was going to read first! 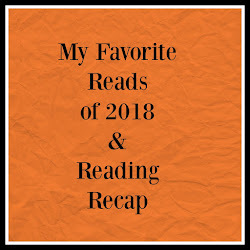 I picked up the first book when it was released and have been hooked since! 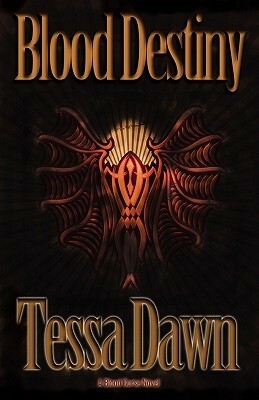 The Blood Curse series by Tessa Dawn is truly one of a kind, Tessa takes Vampires to a whole new level. 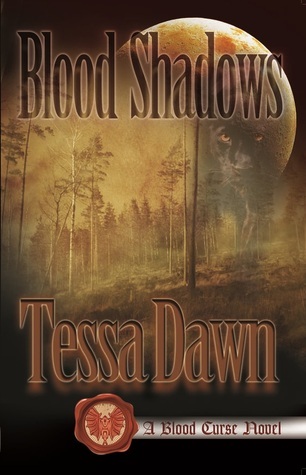 Other Authors can try and still miss the way that Tessa brings words on a page to life. This series would make awesome movies . Totally Addicting Series. I count down the days, months, till the next book is out! I scroll Tessa's FB pages her Blog waiting impatiently for the next book to be released. The men are hot the women are strong what is there not to love about this series. I highly recommend this series as I have since day one and many are now hooked. Just try book 1 Blood Destiny you will not be sorry. Great Blog I will be following you now also! Patches, totally agree with you about these books making great movies! I've been thinking that since Blood Awakening. Now if Hollywood would stay true to the books, we would have Blockbusters on our hands! Monica, I will have to think about the other books to recommend. There are sooo many!! Do you have a preference that you like to read? 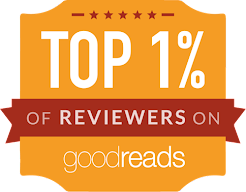 I read Paranormal, Romance, mysteries, some historical. 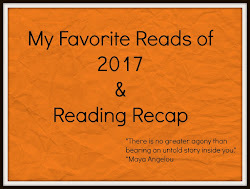 Would love to know what your recent great read was? Thanks for stopping by and I love your user name! Thank you so much for the kind words Patches! I am so glad that you enjoyed looking around the blog. Tessa Dawn must be awesome because I am amazed at the response to this post. 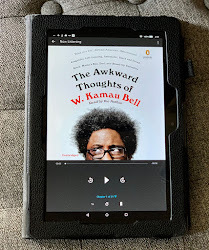 I am so sneaking the first book in ahead of some other things I was planning to read. I LOVE paranormal, interracial, and historical romances. I even enjoy fantasy like Terry Goodkind's Sword of Truth series. I am currently reading all of the Colorado Mountain series by Kristen Ashley, they are awesome. I also really loved Nearly Departed in Deadwood by Ann Charles, it was an awesome mystery romance written with a great sense of humor.